“Hraparak“ newspaper informs that all nine political forces which have disagreements with the results of the Parliamentarian elections in Armenia which took place on May 6, can apply to the Constitutional Court till 18 :00, today. It is supposed that Armenian National Congress (ANC) alliance and three parties which did not manage to overcome the 5 % entrance will have proclaims from the elections. Yesterday the term for applications for the majority candidates was over. Central Electoral Committee has not registered any application of the refusal of mandates of the deputies, thought such rumors are spread in media during the last days. CEC has got 5 applications of the refusal. “Haykakan zhamanak“ writes referring to its well-informed sources that leader of the “Prosperous Armenia“ party Gagik Tsarukyan warned party member Vardan Oskanyan that if the coalition with teh RPA comes true Oskanyan will have to refuse his mandate. Oskanyan answered that in that he case he would leave the party but would remain in the Parliament and would work as a free deputy. According to the newspaper Tsarukyan presented such a task to Hmayak Hovhannisyan as well. 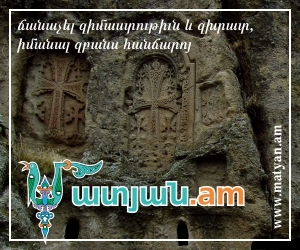 Hovhannisyan and Oskanyan just hope that “Prosperous Armenia“ will not create a coalition with RPA.